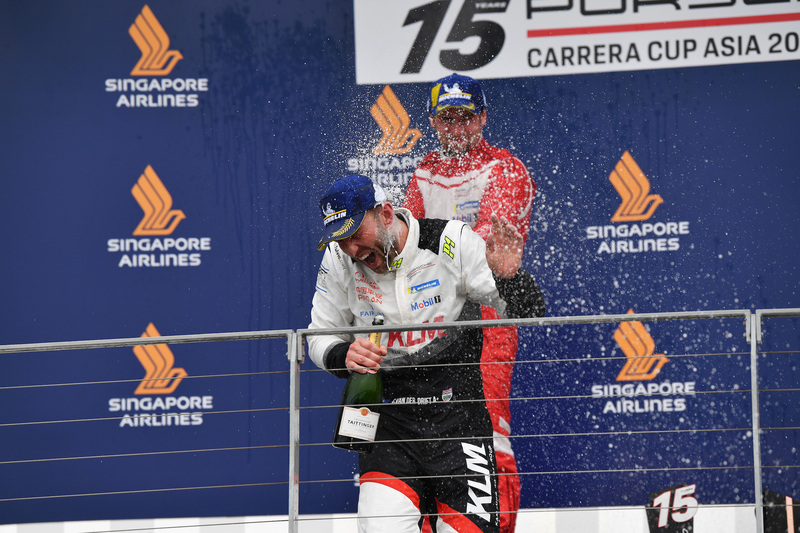 EKS Motorsports had an excellent race weekend at the Porsche Carrera Cup Asia Round 8 at the Marina Bay Sands in Singapore today. 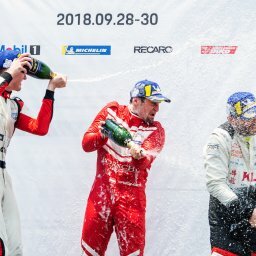 Chris Van Der Drift, Kamlung Racing and Martin Ragginger, Team Porsche Holding celebrate on the podium with the champagne at Porsche Carrera Cup Asia, Marina Bay Circuit, Singapore, 14-16 September 2018. EKS serviced Chris Van Der Drift started the race from P2 and after a hard battle with pole starter Philip Hamprecht, took the lead from the second lap. Chris took control of the race from then on to take the checkered flag. Martin Ragginger also serviced by EKS, started the race from P3 and finished P2 behind Chris after an equally hard fought battle with Philip Hamprecht. 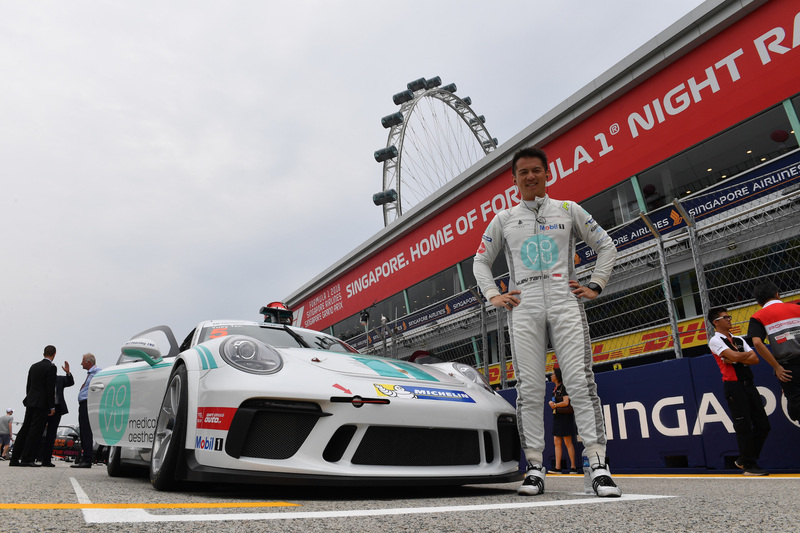 Yuey Tan, Novu Racing Team on the grid at Porsche Carrera Cup Asia, Marina Bay Circuit, Singapore, 14-16 September 2018. Local ace Yuey Tan also had an amazing on his home circuit. The race weekend started well for Yuey on Saturday as he qualified to start on pole for the Pro-Am class. Yuey controlled the pace from pole to flag, clinching the win just 0.969s clear of 2nd place Bao Jinlong. 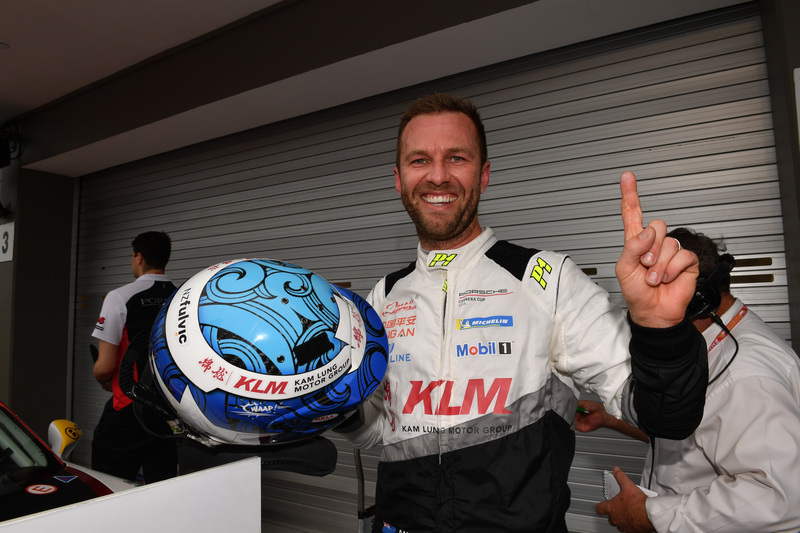 Race winner Chris Van Der Drift, Kamlung Racing celebrates in parc ferme at Porsche Carrera Cup Asia, Marina Bay Circuit, Singapore, 14-16 September 2018. 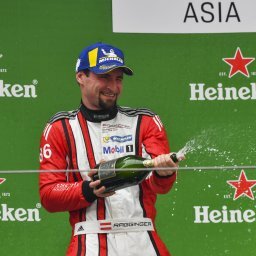 The dramatic 1-2 finish this weekend saw Chris Van Der Drift extends his Porsche Carrera Cup Asia Championship standings lead extended by 19 points over Philip Hamprecht, while 3rd on the standing Martin Ragginger closes his gap to just 23 points from Philip Hamprecht. 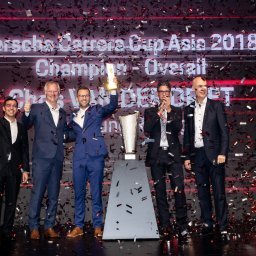 The coveted Porsche Carrera Cup Asia Championship is truly heating up, as the teams starts focussing on the upcoming race in Sepang, Malaysia on 28-30 September.